Unless a student is expected for tutoring or a before school activity, students may not be on campus before 7:40am. There is no supervision until this time. Students may enter the building at 7:40am and proceed to their classrooms. Parents may not walk their children to class. All students must be seated in their classroom before the 8:05am bell or they will be tardy. Excessive late arrivals will result in opportunity time as determined by the Administration. 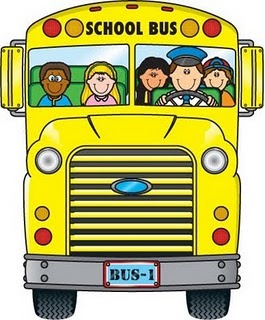 Carpoolers, please plan to leave for school earlier on inclement weather days (rain, excessive cold or heat). Waiver of a tardy is at the discretion of the Administration on inclement weather days. All absences must be documented directly to the Attendance Office within 5 days of the student returning to school by either a Parent Note or Medical Note (if they were seen by a physician). Parent notes must be signed and dated by the parent indicating the dates of the absence. Physician school excuses must be original and note all dates of absence from school. All notes and excuses must be turned into the front office. No one shall have access to your child during school hours or check your child out from school except the parents or guardians that have signed the school registration card. A written note from a parent or guardian that has signed the registration card is required for all early dismissals. This note should be sent with your child to the front office the morning of the early dismissal. After 2:30pm, early dismissals will not be permitted unless a note with a parent/guardian signature is sent to the front office the morning of dismissal. Your child must provide a note to the Attendance Office the following day. Phone in and walk in requests will be accepted for unexpected medical appointments and emergencies only. Volunteers in the building may not take their student before the 3:25pm dismissal bell. Before your child arrives in the morning, they should know how they are going home and what to do if the weather will change that plan. Requests for change of transportation must be received before 2:30pm. There will be one bell at 3:25pm for all students including walkers and bike riders, bus riders, and carpoolers. Students should be picked up on time as their is no supervision for them after 3:25pm dismissal. For security reasons, parents may not wait inside at dismissal time for students. The school doors are locked at 3:35pm.